Our Stalking Wolf t shirt is another exclusive design to our Wolf gift shop. 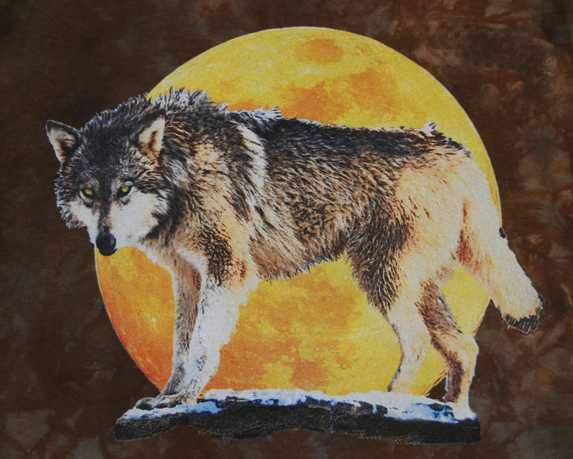 The design on this Wolf t shirt features Woha a Wolf at Wolf Howl Animal Preserve. She is currently a contender for the Alpha Female position in the pack. This Wolf t shirt is hand dyed so each shirt is slightly unique. The dyes and inks in this t shirt are environmentally friendly and water based. It is 100% pre-washed cotton, machine wash warm, tumble dry medium. Click on the image of the design for a larger view. See size chart for a better fit.